4 Hugues Ross - Blog: The End is Nigh! The end of the semester, that is. With two weeks left until freedom, everything is getting nuts! This means that I might not have much to write about for a little while. The Sprint ends in less than a week, and I'm getting a little burnt out from all this programming. I'll try to get back in the mood in time to make something festive, though. I'd also like to get out that fabled Chainsaw Deathrace v2.0 before classes start again. Already, it seems that I have quite a lot of things on my plate. Textyventure, the text adventure that I was messing around with at the very beginning of the semester. I'm going to continue this after break, using my improved knowledge of C++. Should be pretty easy. Exclusion, a puzzle platformer with exploration elements. This one's so old it was made back when I was using Love! I'm not sure if I ever posted about it, but I think it might make a nice summer project. 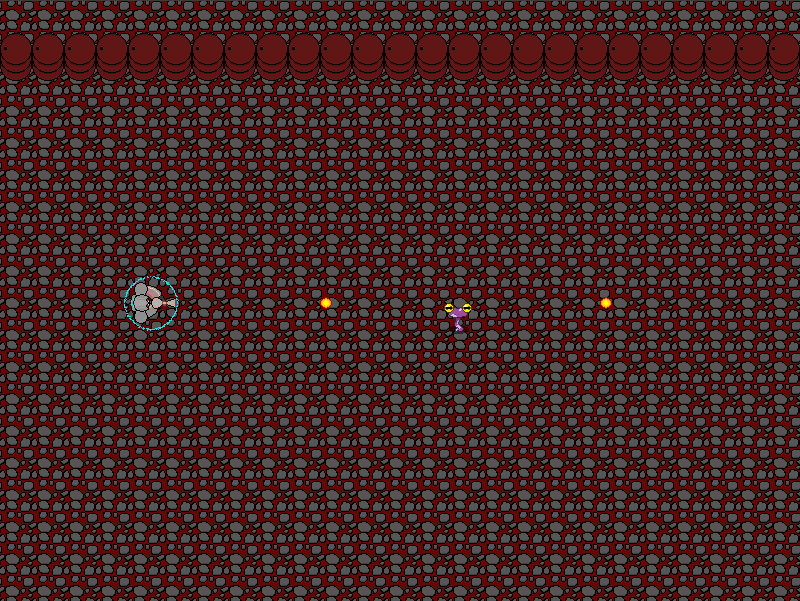 Halberd, the RPG I've been working on on and off since the beginning of the blog. The folder is just design documents at the moment. The unnamed Maze Game, my first real game made with GLUT. I ought to finish this eventually. Maybe I'll clean it up and put up a demo or something. Chainsaw Deathrace, the game jam game with much greater aspirations. This is my "current" project, not counting the Sprint. Fatal Tempest, a bullet hell engine I was messing around with. maybe I'll revisit it someday. Who knows. Project ARHG, a secret project of mine. With any luck, you'll never hear of it again. It's still early in the design stage anyway. The title screen. 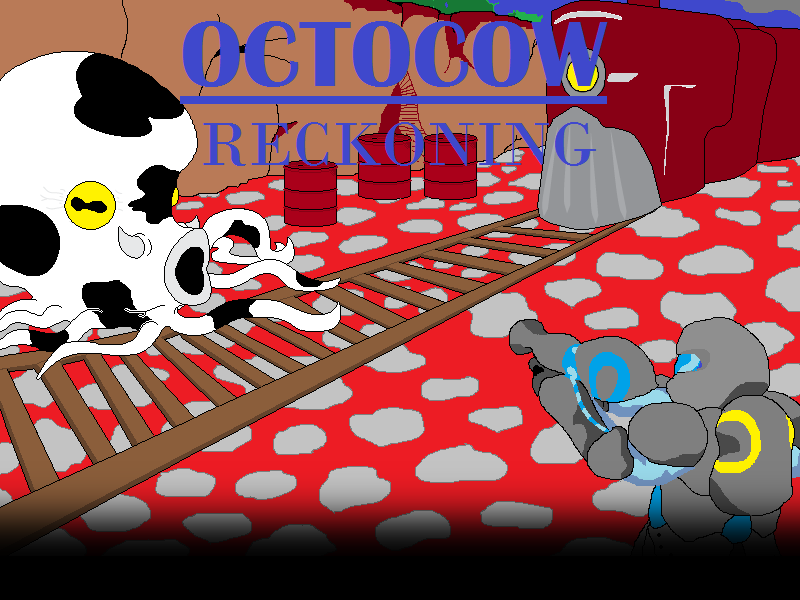 The Octocow doesn't actually feature in the game yet. The Hopper, enemy number 1. He hops and not much more. 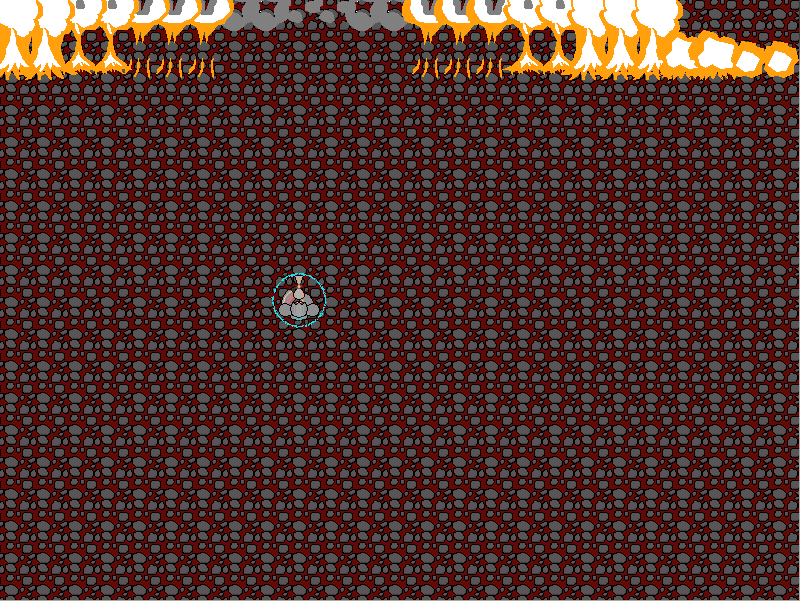 Explosions now look a bit nicer, and barrels aren't glitchy anymore. EDIT: The title screen was drawn by our group's artist. The rest is by me right now.